When it comes to Colorado home design, what architect Jeff Dungan can’t wait to get his hands on, so to speak, are the sweeping mountain views and diverse terrain. He will soon be expanding his creative territory to the Rocky Mountain west, and while many design approaches translate relatively well from state to state—and, in Dungan’s portfolio, from country to country—the inspiration drawn from Colorado’s landscape is enough to rev the architect’s creative engine in a whole new way. It’s a welcome challenge, different from the rural Alabama family farm where he grew up. The rolling hills of the countryside were early catalysts for his appreciation of natural beauty, art, and design, and his passion for bringing out the magical aspects of a home’s surroundings is palpable. We caught up with the award-winning architect to pick his brain in anticipation of his talk at the Denver Design District (Thursday, June 30, 2016). 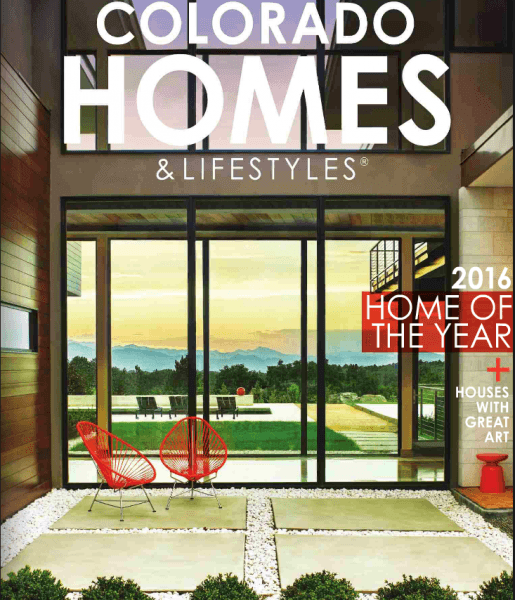 COLORADO HOMES & LIFESTYLES: What are you most excited about when it comes to working out west? JEFF DUNGAN: The raw fuel of creativity is inspiration. People inspire me, words inspire me, but I get most of my inspiration from nature. The American west is such a beautiful part of the world. Nobody would disagree that the scenery is inspiring. CH&L: How do you describe your style approach? JD: My perspective was birthed in a bucolic, agrarian area. I think that comes out in the approach I take. There’s a certain amount of texture, of what some people might call rusticity in the work that we do. Whatever we say about certain design approaches, one thing that rings true is that it’s a solution to a very specific set of challenges or issues. One of the fun things is that we get to practice architecture all over the world, working with different cultures, building traditions, styles, climates, and people. By the time you cross-reference all of those different variables, there are never two projects that are approached in the same way—and they shouldn’t be! CH&L: What’s the “thing” about designing homes in a mountainous landscape? JD: At inception, a design has a lot to do with its site—and the client, too. People ask me how I do work in Nova Scotia and then turn around and do a project in Costa Rica; they’re incredibly different climates and cultures. I respond by saying: No matter where you go, you end up standing on a piece of dirt. And that property says certain things to you. It’s going to have specific views, topography, and angles of sunlight. A mountain home might need to maximize its amount of natural sunlight, since the peaks and surrounding trees could be blocking the sun. Or homes with mountain views will want to include as many vantage points as possible. When I’m designing a beach house in Florida, the sun plays a huge factor—sometimes it can be abusive. In that case, it’s more likely that we’ll want to create a refuge from it indoors. CH&L: You’re planning to speak about the Designing the Forever House. Is there a different mindset when designing a home base versus a second (or vacation) home? JD: It was Ruskin who said, “When we build, let us think that we build forever.” When you’re designing a home that you’re not planning to resell anytime soon, you’re creating an heirloom that you want to hand down to your children and grandchildren. But you’re also looking to enjoy it yourself! It brings a whole new perspective to the process when you design that way—both from the owners’ and architect’s point of view.